These planters are from the French County Collection. This tall wooden planter is made from pine wood construction and then finish in French Grey. 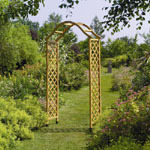 Ideal for indoor and outdoor use. Size: 40cm wide x 40cm wide x 60cm high. This is a solid jointed timber wooden garden planter. The ball finials of the wood garden planter are decorative. Large flower planters are extremely popular as patio planters. 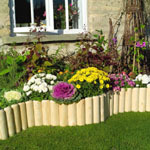 These wooden plant containers are supplied flat-pack and assembled easily in minutes with instructions included. The planter troughs are stunning when planted and are complete with liner. Also available in our store are garden troughs, square wooden planters, wooden barrel planters, wooden garden containers, planter troughs and flower planters. These wishing well planters are decorative garden planter and ornaments. This wishing well wooden is made from a solid wood construction. 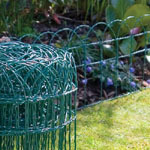 This wishing well planter is supplied in a flat-pack form for a quick and easy assembly, can be coated for further protection or to mach existing décor.